Final Cut Pro X allows for a convenient way to quickly access the most commonly used LUTs to save you time while grading. 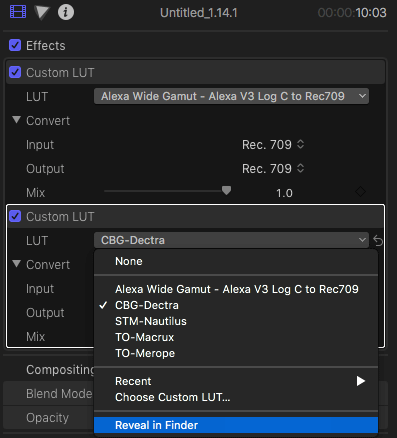 This document covers the basics of adding LUTs to the drop-down option of the Custom LUT dialog menu. You must be using version 10.4 or higher of Final Cut Pro X to be able to access this feature. First familiarise yourself with the process of applying LUTs in Final Cut Pro X. From the Custom LUT dialog pop up menu, select “Reveal in Finder” option. 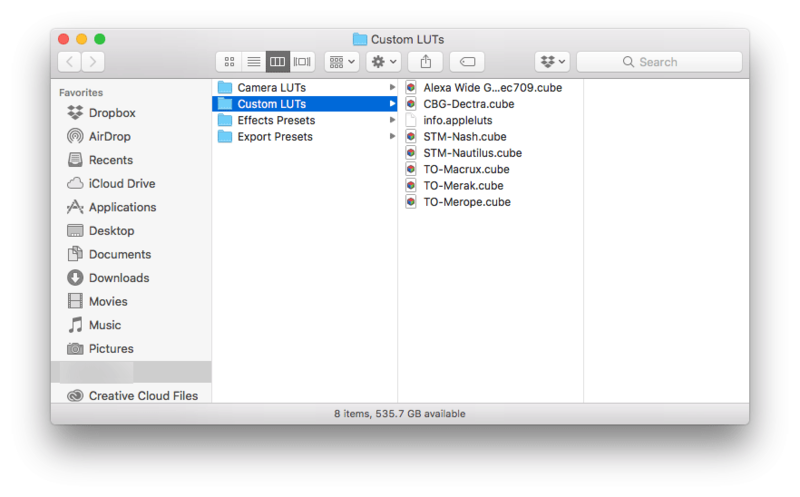 Copy the LUTs you would want to appear in the drop-down list of Custom LUT dialog to this folder. 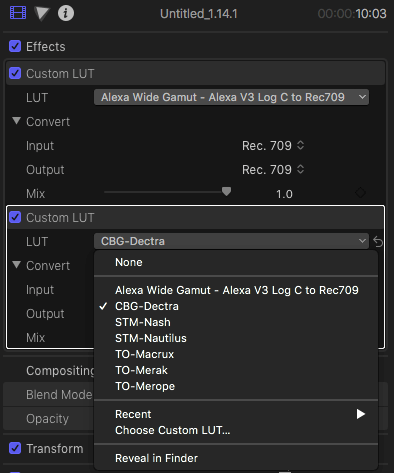 Your newly added LUTs appear in the drop-down menu of the Custom LUT dialog. Select the LUT from the list to apply it.